Care to play ‘Kick the can down the road’? “Kicking the can down the road” has been a favorite metaphor politicians have used to describe someone who is postponing a decision or avoiding an issue. So, how does this portend our debt crisis? I guess we first have to define the meaning of the term “crisis”, as has been used by countless members of the Obama administration to describe the pending approach to the debt limit. Is “crisis” an apt word to describe the event of reaching the debt limit? Again, that depends on your view of government funding. Let’s break it down into an easier example that can be understood by all. You have 3 credit cards with a total credit limit of $15,000. You have watched your balances increase over the last several years and all of a sudden, you’ve maxed them all out. You only have so much money coming in every week and you have to pay at least the minimum on your credit cards every month. What do you do? In my household, you discontinue using the credit cards and you begin to work down the balances. The problem is this: the minimum payments do nothing to shrink the balances, they only pay the interest on the debt and a small portion of the balance. To make an impact on those balances, you have to pay at least double the minimum payment. The problem is one of cash flow. You have to dedicate a chunk of your paycheck to pay down those balances. You’ve now worked a payment plan into your budget and are making progress on paying down the balances of your credit cards. All of a sudden, your kid’s car needs some repairs, or a health issue has saddled you with a sizable deductible. What do you do? You run the balances of your credit cards back up to the max and start over with paying them down. Frustrating, but it’s the only avenue you have. You secretly hope for a promotion and a raise, although in this economy, you’re just happy to have a job. You’re managing your finances the best way you can and it’s frustrating because you only have so much cash flow to deal with everything. But the bottom line is that you do manage. The federal government has not learned how to manage their “debt limit”. They keep increasing it on the knowledge that YOU and I will have to repay it. This is one screwed up reality and it’s time to change it. The federal government does not need to be given an increase in their credit limit. They need to deal with what we’ve already given them and continue to give them every year. I couldn’t agree more. The “crisis” that we face is one that is manufactured by the addicts in Washington. Think about someone that is facing withdrawal from their addiction. The common refrain is usually “Man, just this one last time”. It’s time to pick up the can and say “NO MORE”! The road has just reached a dead end. 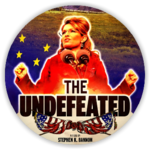 The movie about Sarah Palin’s tenure as Governor,”The Undefeated,” will launch nationwide on July 15th. 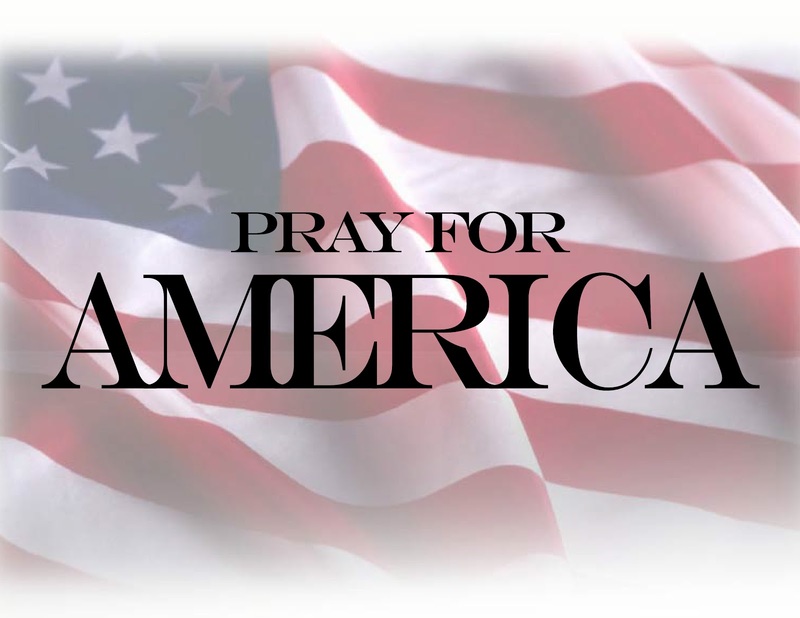 There is under way now a massive support effort by Palin’s followers to ensure the fullest response possible. The week will make or break the “unholy alliance” of leftists, particularly the liberal media allied with the Beltway denizens, who see Palin as a threat to their values and their support of Mitt Romney. In some ways, what is happening is similar to the so-called “Arab Spring” where a grass roots mass movement has taken on the establishment and, in some cases, brought it down even though entrenched for decades. Yes, the Lib/Beltway alliance has every right to feel threatened as they are up against a person with a Facebook following of over three million, and massive potential resources in on the ground activists and money. The alliance, especially the media aspect, grossly over-reached and overplayed their hand with their ludicrous pursuing of the Palin emails. 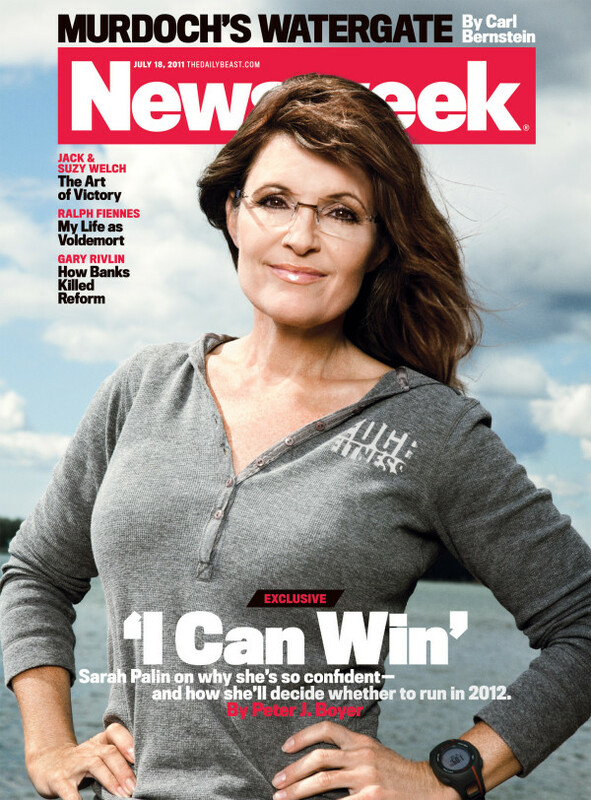 This turned out to be a disaster, as it ruined their themes and gave huge credence to Palin’s complaints of media distortion-and, in fact, persecution. The shortly-to-be-released movie is a further blow to the media’s campaign, as it shows – as did the emails – a highly competent, engaged administrator who could reach across the aisle, whilst taking on entrenched forces. If the movie gets traction, then the media will have run out of bullets, and Palin will effectively be Teflon should she run. It is obvious even to Blind Bill, that the media has pumped up Bachman, whom they would destroy utterly if she somehow got the nomination, as a mechanism to keep Palin from running. Unfortunately for them, Bachman is doing an outstanding job of destroying her campaign with ludicrous statements, fluffs, and pledge signings (the latter having energized the Gay community against her). However they will continue as best they can with that leaky vessel, whilst putting everything into next week against Palin to dissuade her not to run and to deflate her supporters. 1. The worst possible reviews of “The Undefeated” by professional critics, and, of course, the ensuing comments section will be swamped with negativity. 2. Polls will come out (there has been a noticeable dearth of them in the last week, but there will not be in the following weeks) which will purport to show that Bachman is so far ahead of Palin that it would be a waste of time for Palin to even consider running, as she is “yesterday’s news”. 3. Texas Governor Rick Perry will be pumped up as the next shiny object/GOP saviour whose entry into the campaign, should it happen, would also sound a death knell for Palin, they will advise. 4. The social satirists, late night talk show hosts, will mount a vicious anti-Palin campaign. It is noticeable that the mass media liberal cartoon “Doonesbury” has started this already. 5.The liberal blogosphere will criticize any aspect of the movie they can-if a theater is not 100% sold out, they will jump on the fact. 6. The Beltway media commentators will sound Palin’s death knell in concert with the overt progressive outlets like Politico. Those are just some of the activities to be expected from the unholy alliance next week to try and persuade Palin not to run and to bring her supporters down. In this attempt, they will, as they have so often in the past, fail miserably, as they are totally out of touch with the depth of massively loyal support that Palin has. Be one of the first 100 advance ticket holders to show up opening night with your ticket confirmation and get this collectible pinback button free. Organize4Palin volunteers will be waiting in the parking lot to shake your hand and disperse the pins. The fun begins an hour before showtime on July 15!